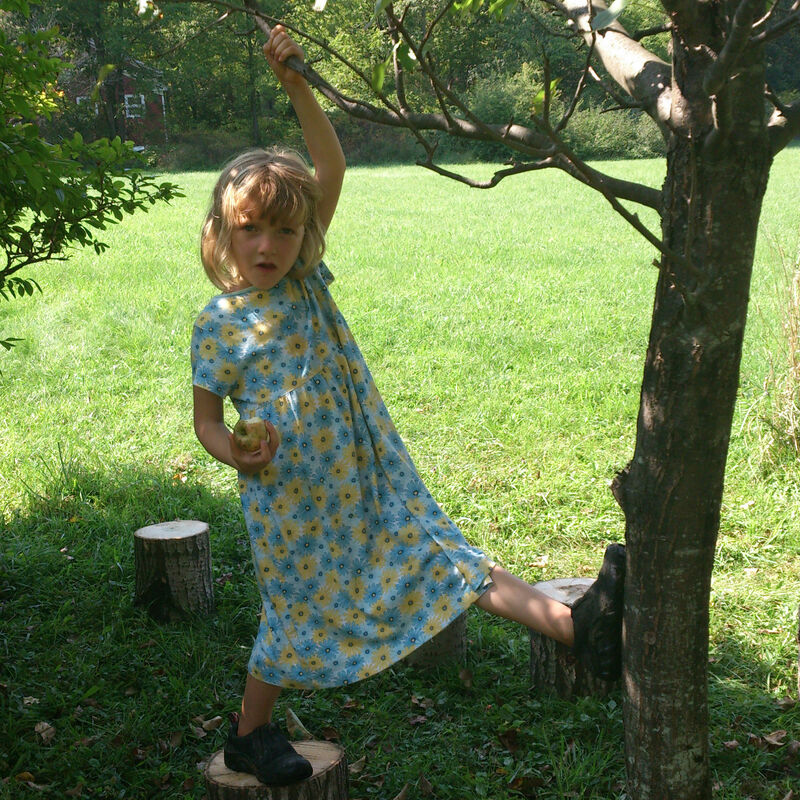 The Lantern School offers homeschooled children an opportunity to be a part of a community that emphasizes learning through a connection to the natural world and socialization through play. Small class size is just one way that children receive education focused on their unique needs. When focusing on core academics, our mixed age group (5-8 year olds in 2018-19) is broken down in smaller skill-based learning groups. Students are presented with skill-appropriate materials and can learn and excel at their own pace. 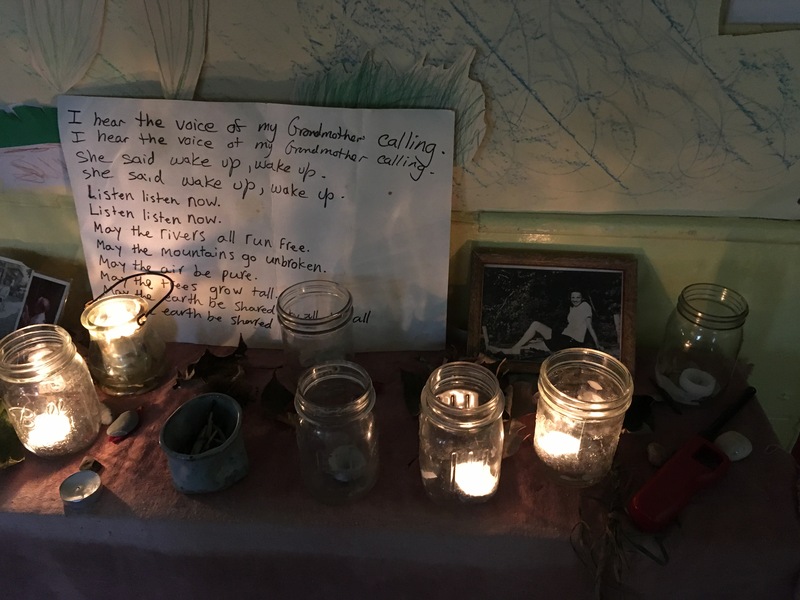 The Waldorf-inspired curriculum moves the children through a predictable daily rhythm that includes academics (math, language arts, social studies, science) and handwork, music, and yoga. The class meets in an historic one-room schoolhouse on a campus that includes lots of open play space, nature trails, and outdoor classrooms. 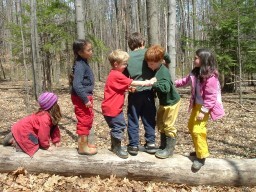 Outside time is emphasized for both play and learning through cooperative and active games. School meets from 9 am – 3 pm on Mondays and Tuesdays, with an optional Wednesday offering. The Wednesday program features various individualized Math projects, and more time in our outside classroom/village. To learn more or register, contact us here. To find application information, click here. For the password protected Lantern Family page, click here. 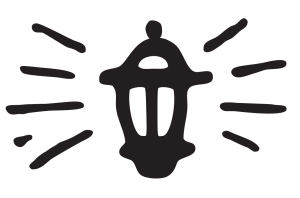 The Lantern is located in the One Room Schoolhouse on the campus of the Foundation of Light. The Lantern is asking all currently enrolled families to make a commitment for ’19-’20 by March 30, 2019. Applications from new families will be accepted beginning April 1. Once we have determined available space for next year, slots will be filled in the order applications are received, with preference given to applications that help to balance the classroom for gender, age, and temperament. The Lantern keeps tuition costs low to ensure as many families as possible have access to our community. Please consider donating now! Looking for a four day per week option? 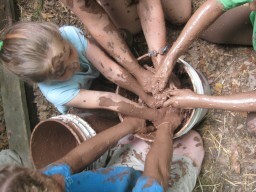 Pair the Lantern School three-day offering with the Earth Arts Thursday homeschool program. © 2019 Earth Arts. All Rights Reserved.